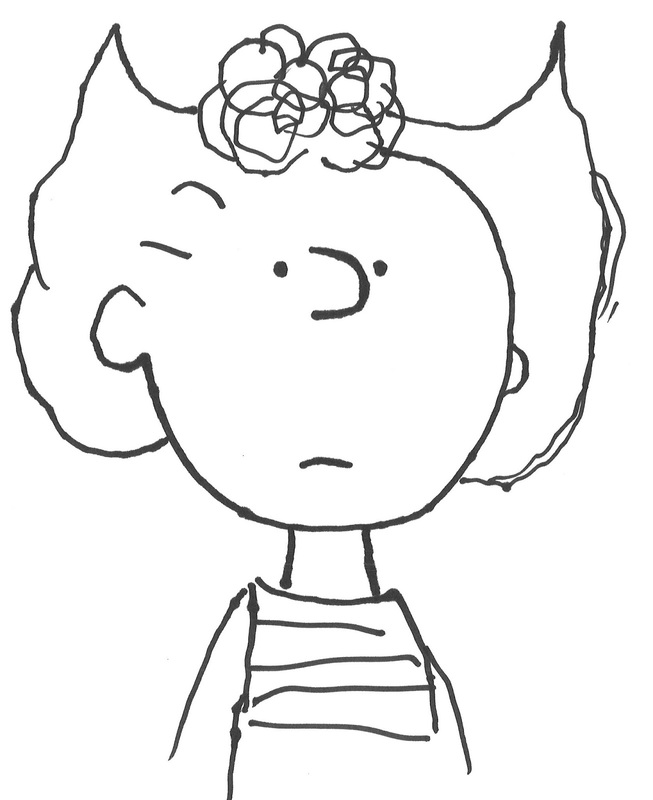 I was all set to gently chide those of you who did not know the very famous Sally Brown. But then I remembered that each post in Famous People at the Library Week comes with a picture, and that fact sure did put the kibosh on the chiding! Though I suppose some few of you might not have gotten all the particulars from just the picture, I doubt there's anyone who would not have gotten the general idea. 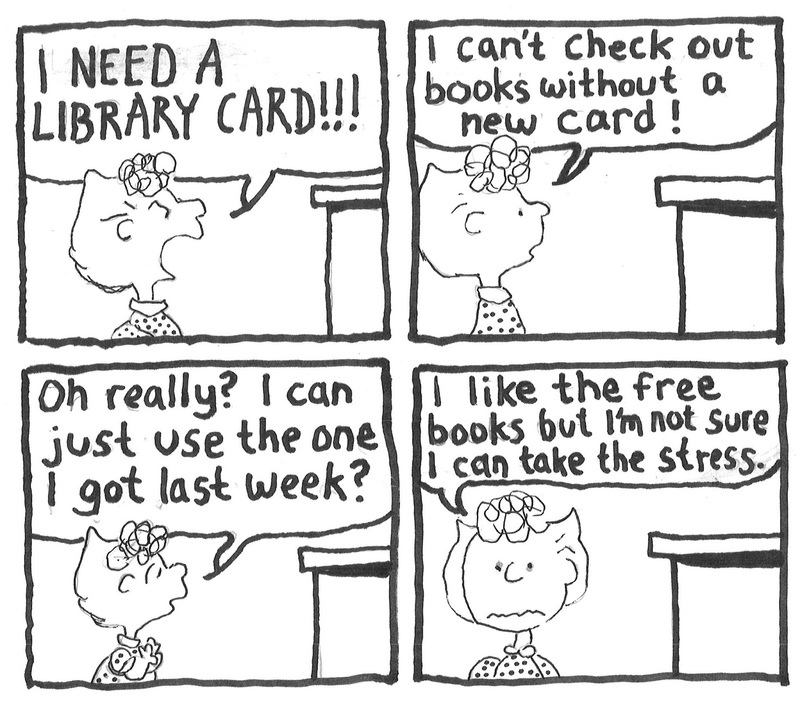 And so it is, Sally Brown, Charlie Brown's little sister, regularly comes to my Library. What is a little kid like her doing at our Library? I never see her with any adult, and I'm pretty sure she lives at least a few miles away from here. My best guess is that she was kicked out of her local Library and possibly banned. She is one ferocious kid, and quite a yeller. On the one hand I kind of wonder about the Brown parents. Their son, who I've only seen a couple of times, at a distance, seems very sad, and their daughter is unusually emotional, loud, and fierce. It is very hard to know what kind of house that is. I've never met their parents. I think they might have a dog. So Sally said "I crushed it but it won't stay flat!" Or, sometimes it comes out as: And I said "Bwah bwah bwah bwah." But I finally figured out a way to tell a story of Sally Brown at my Library without me appearing.